In October, the Scottish Ensemble will be performing my score for Murnau’s film of Faust in a fully live context. I shall also be performing alongside them, handling the electronic portion of the score. This will be a rare opportunity to see the music live with the film, and hopefully it will be pretty special. Wow, this will be special indeed! 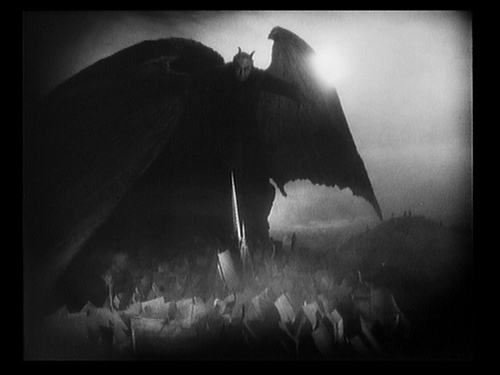 I saw Murnau’s Faust with your score at the GFT a year or two ago and it was immense. Loved it. To hear it with an actual orchestra will be quite something, I hope I can get to one of these performances. Have a great time with it.